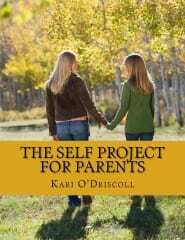 Way to help your daughters increase their self-awareness! When I am doing a mindful activity with students, I usually suggest they ask themselves why they are about to do anything they feel like doing, for example scratching their leg, open their eyes to peek at someone, etc. And yes, I agree that after this step, it becomes easier to identify behaviors and proceed to change them. Thank you for your wise words and suggestions!